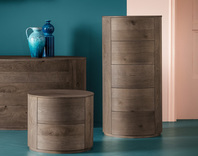 Our wide range of modern Tallboys and unique bedroom furniture include many customisable in a large selection of finishes, colours and tones - choose from light and dark natural woods, painted wood grain, matt, gloss, shades of grey and neutral tones through to bright red, lime, aqua blue and numerous more. 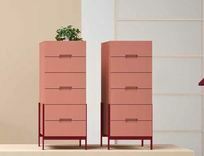 Similar to a traditional chest of drawers but with a smaller footprint, a tall boy or dresser consists of several drawers for bedroom storage and can compliment your bedroom design with matching bedroom furniture or bought individually as a special one off piece. 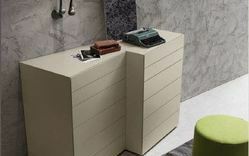 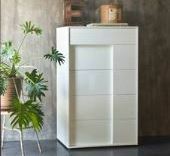 As the name would suggest it is an item of furniture that is tall and slim like a tall boy! 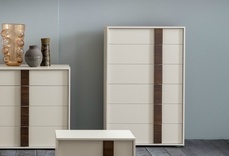 A typical tallboy consists of five, six or seven drawers with the top drawer being split into two separate, smaller drawers. 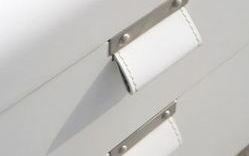 Due to the nature of their 'skinnyness' they are ideal for storing smaller items such as underwear, hats, gloves, scarves etc. 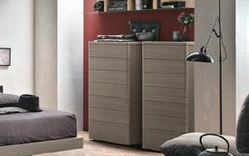 and due to their height they are a good place for a TV or table lamp for ambient lighting in your bedroom. 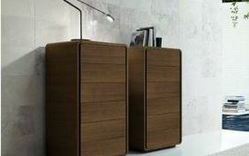 Tallboys can be used in a variety of ways. 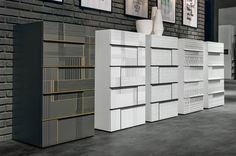 On their own they can fill an empty corner or they could be placed side by side a few inches apart to create the look of a traditional chest of drawers but in a more contemporary and unusual way. 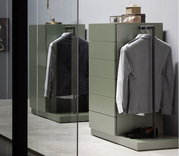 There are several of our modern tallboys that really stand out for example the round Tomasella Charme with glass top, the sleek Dall'Agnese Slim tallboy and the Mazzali Origami oak tallboy. 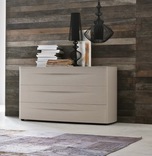 If a traditional tallboy is more your style then we have the Tomasella Epoca walnut tallboy and the white Zanette Kairos tallboy to whet your appetite. 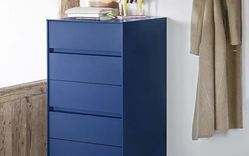 We do hope you find the exact tallboy dresser for your bedroom on our online shop or in our Glasgow showroom but if you don't please feel free to call us on 0141 632 1384 and we will do our utmost to help you source exactly what you are looking for. 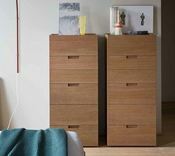 We deliver tallboys throughout the UK including London, Edinburgh, Aberdeen, Glasgow, Manchester, Birmingham, Cheshire, the Home Counties and the South West.